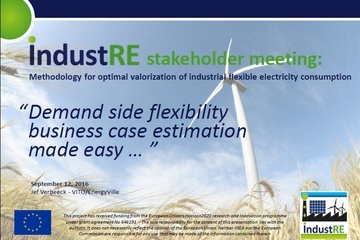 The IndustRE project aims to inform you, as interested professional service provider, about its proposed methodology to valorize industrial flexibility. Watch here our webinar introducing you to the methodology. Britain could save billions of pounds in energy costs by paying businesses to shift their power usage or run their backup generators instead of building new power plants, an industry report has found. The preliminary results from European Commission's public consultation on Electricity Market Design have been published. The first item that is listed as having received the backing from a large majority of stakeholders is the need for scarcity pricing. 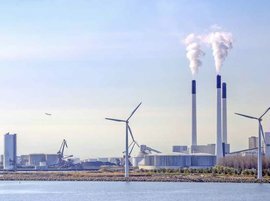 The team from Imperial College London that are partners in the IndustRE project have just issued a report, which demonstrates that flexibility will be the key to cost effective decarbonisation of the UK power market. 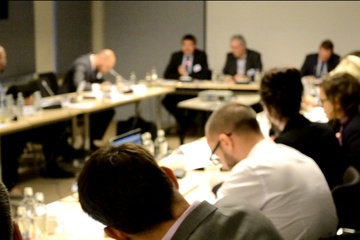 The IndustRE workshop on Innovative Business Models took place in Brussels on the 27th of October. The consortium presented a basic outline of the different possible business models for supplying variable renewable electricity to industrial users with a potential for flexibility in their demand. The discussion focused on the applicability of these business models within the current regulatory and market framework. The workshop was attended by representatives from the industry, academia and authorities. WIP, the coordinator of the IndustRE project, participated in the 3rd Annual Workshop of the eStorage project in the 15th of October in the premises of Alstom in Birr, Switzerland. The project eStorage is funded by the FP7 programme and it aims at demonstrating a variable speed pumped hydro energy storage technology. The workshop was intended for European power market stakeholders to meet and discuss about the project results and what they mean for the role of energy storage in the electricity market. Participants included representatives from the industry, utilities, TSOs and authorities. The IndustRE project was presented among a discussion on the roles of demand response and energy storage which can be complementary or competitive depending on the circumstances. Michael Papapetrou (WIP) chaired a discussion on the regulatory and market design aspects that affect the offer of flexibility to the European power systems. 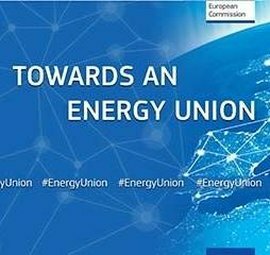 The European Comission has launched a public consultation on the new energy market design, which is part of the Summer Package released on the 15th of July 2015. The 28th Electricity Regulatory Forum (Florence Forum) happened during the 4th and 5th of June 2015 and aimed to discuss the Energy Union initiative and the implementation of the latest round of EU energy market legislation, namely the third energy package. Topics addressed included the Network Codes and Guidelines elaboration and especially for the IndustRE project, the challenges for market operation and integration of renewables.